Upcoming presidential and parliamentary elections require each and everyone hands on board so that our motherland Ghana will achieve its success in these elections once again.It is up to us to contribute our quota to help electoral commission to organize successful elections for us. In view of this, Electoral Commission is recruiting temporary staff for following positions, Returning Officers (RO), Deputy Returning Officers (RO), Presiding Officers (PO) and any other positions for upcoming November 7 elections. 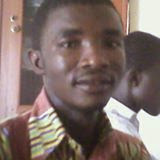 In fact Ghana needs people like to occupy those positions but if you are politician don't apply . Requirement: you must be Ghanaian and registered voter since your voter ID number will be required during online registration processes. Dear reader make sure you enter correct details especially ID number you will be required to reproduce when wanting to print the completed form later date.